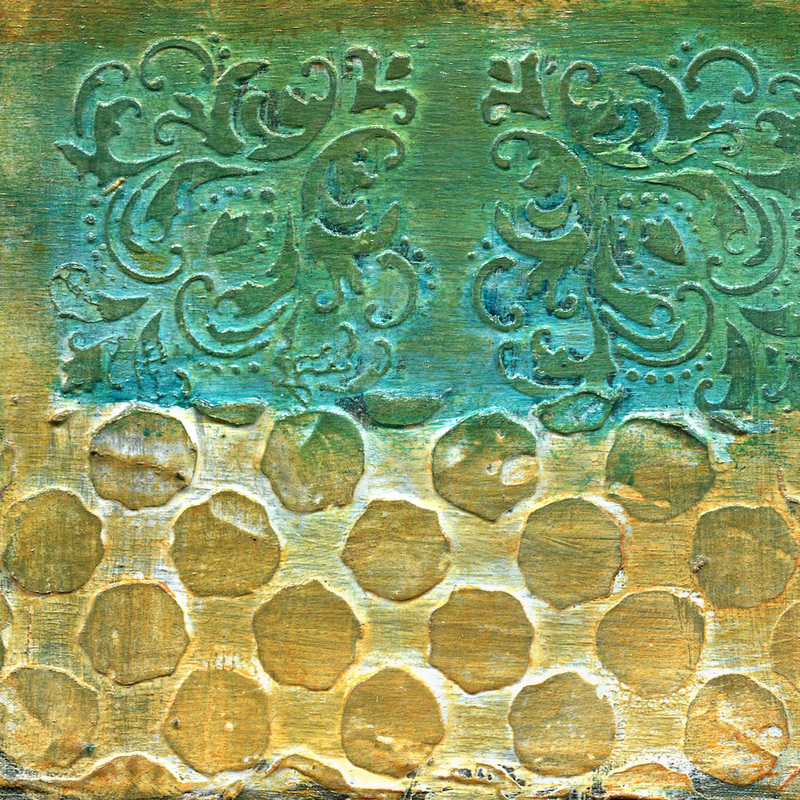 Explore acrylic paint techniques with gels and pastes from simply tinted gels and collage techniques to mark-making and stenciling processes. This class is great taken with Paint & Gesso Techniques 101! Create some beautiful small swatches on paper that can be used as inspiration for future projects or mini masterpieces on their own. 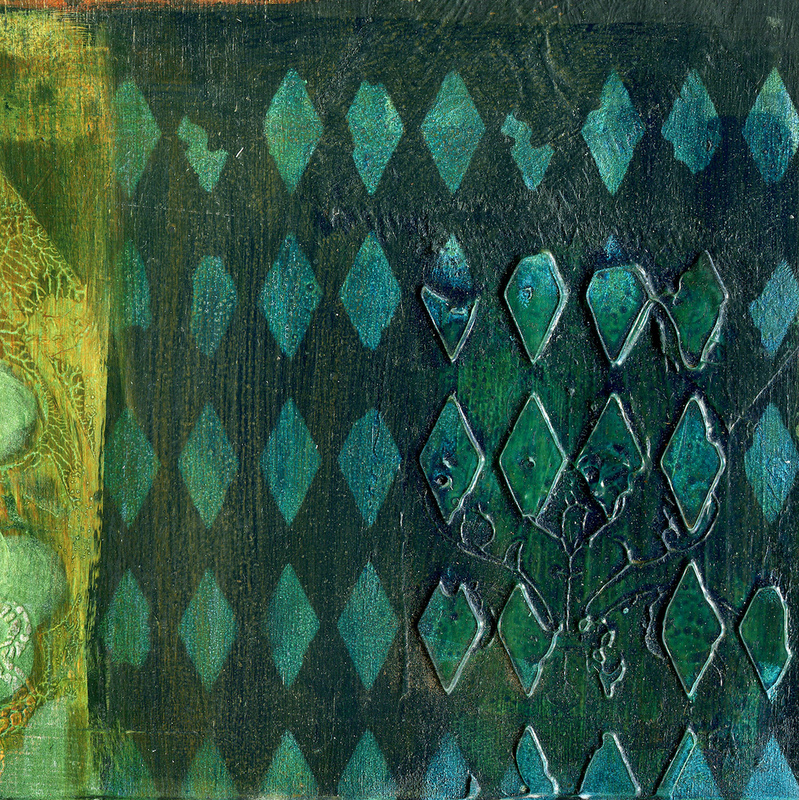 Experiment with different weights of gels and find out a variety of creative uses for pastes including fiber paste with stencils, stamping and mark-making. Push the boundaries beyond straight acrylic painting and find out the different recommended uses for matte medium, versus soft gel, regular gel and heavy gel. Note **students (particularly beginners) will benefit from taking Pain & Gesso Techniques 101. 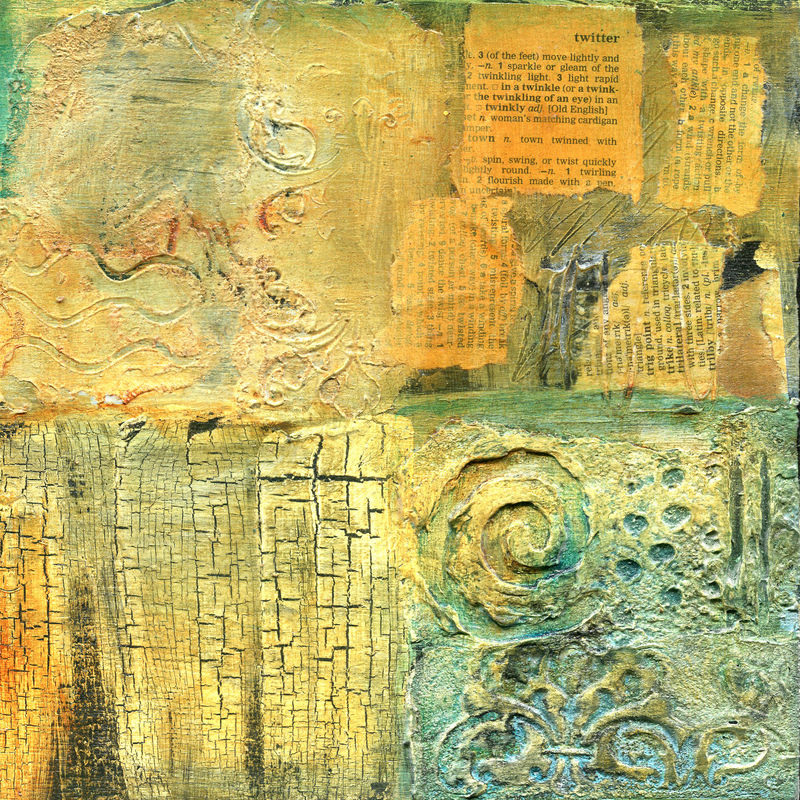 This is a fantastic workshop for beginners, but also very inspirational and freeing for intermediate and advanced students to create a collection of paper swatches with many varieties of techniques involving gesso and paint as well as stencils and stamps for use with future mixed media projects. your own favorite simple rubber stamp patterns and/or stencils, or other mark making "tools" like sponges, plastic forks, knives, combs, wedges, etc.